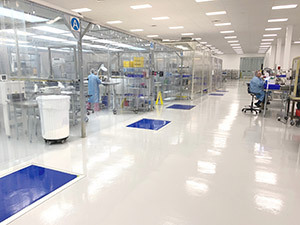 Medbio (www.medbioinc.com) is an ISO 13485:2016-certified medical contract manufacturer, specializing in clean room injection molding, assembly, and packaging, with clients based throughout the U.S., Europe, and Central America. Medbio is currently building products for the orthopedic, cardiovascular, ophthalmology, neurology, and biotechnology OEMs. Medbio has posted 14 years of growth, been honored as an Edward Lowe “Michigan 50 Companies to Watch,” and recognized in the Inc. 5000 list of fastest-growing private companies in America. Follow us on Facebook and LinkedIn.